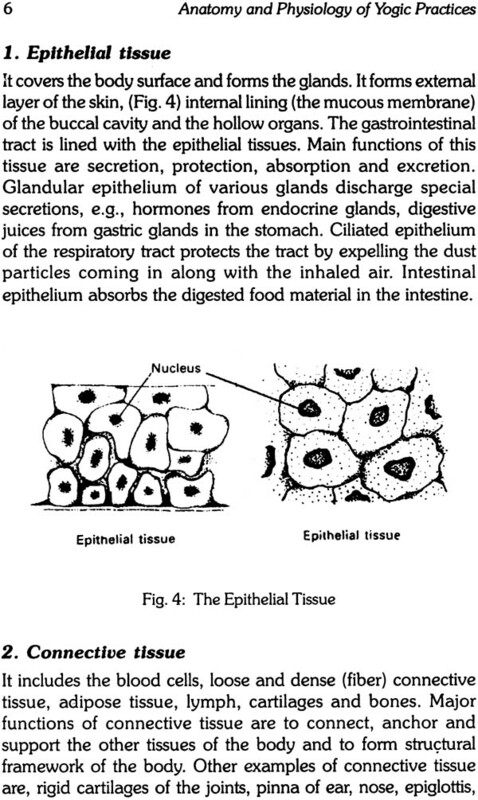 The first Part of the book deals with only that part of the basic anatomy and physiology, which is important in understanding the mechanism of yoga practices. This time a special note, in the form of tips ‘from yoga point of view’, has been added so as to understand various concepts and aphorisms of yoga clearly. 1. 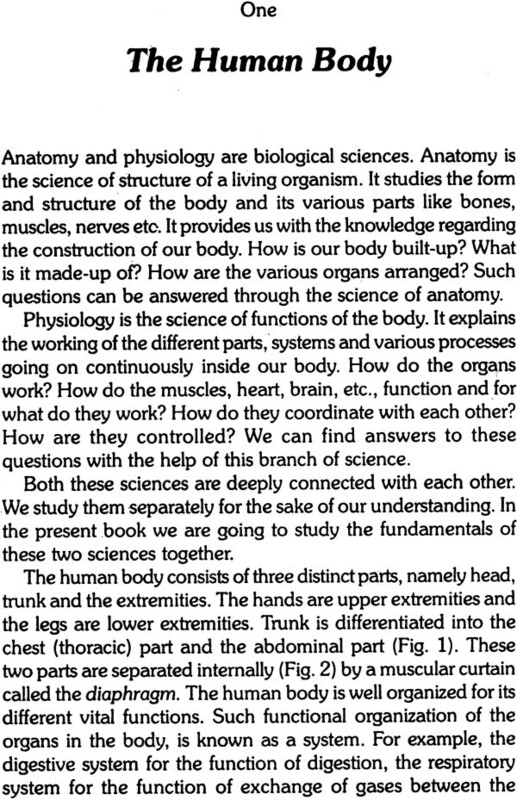 To learn the basic structure and various functions of the body. 2. To understand the yogic concepts, the correct technique and the mechanism of the yogic practices as well as their physiological effects on the human body. 3. To know whether we can modify the techniques of these yoga practices with the help of the scientific information about them for better application. 4. 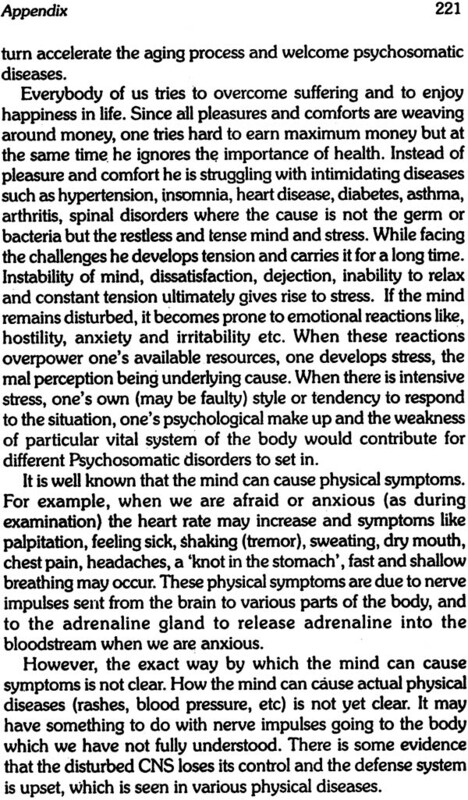 To understand the principles of yogic therapy, its application, contra-indication and limitations. 5. To know the scientific aspect of the Aum chanting. Dr. Makarand Madhukar Gore received his initial education in Yoga from his Guru Swami Janardan of Nagpur. After completing his post-graduation, he acquired education in Ayurveda, Yoga and Naturopathy. Since 1975 he worked for last 34 years in the field of research in Yoga, at Kaivalyadhama, Lonavla. He has taught this subject at G.S. College of Yoga, Kaivalyadhama, for 10 years. Keep the mind and body in perfect condition, these are the requisites to achieve the desired goals. More than two thousand years ago Patanjali, who is considered the father of yoga, compiled 195 Sutras which still serve as guidelines for using yoga in daily life to attain health and gain freedom from diseases. Yoga also helps to achieve spiritual, mental and physical health and is the main reason why it has now become an international phenomenon. American cardiologist Dean Ornish, for example, who is the discoverer of the reversibility of atherosclerosis has proved that even severely blocked arteries can be opened without surgery with regular meditation, yoga, diet and aerobic exercises. The fact is, today’s competitive world with people striving for material success is producing enormous levels of anxiety and stress leading to hypertension, cardiovascular problems and diabetes which, in turn, increases anxiety and stress even more, forming a vicious circle. Typically, we try to tackle this problem with just medicines without taking its root causes into consideration. Yoga, on the other hand, acts both on physiological and psychic levels bringing physical and mental equilibrium, thus calming both mind and body. It is now almost universally accepted that regular practice of yoga has long lasting therapeutic value and prevents such conditions. Critical, however, to the basis of understanding yoga is possessing sound knowledge of anatomy (structure) and physiology (function) of the human body which then promotes an understanding of the philosophy of yoga as an established and scientific way to achieve health. The human body is a very complex configuration of muscles, bones, nerves, vessels and other organs and a clear knowledge of these can further help us to identify health problems and diseases. 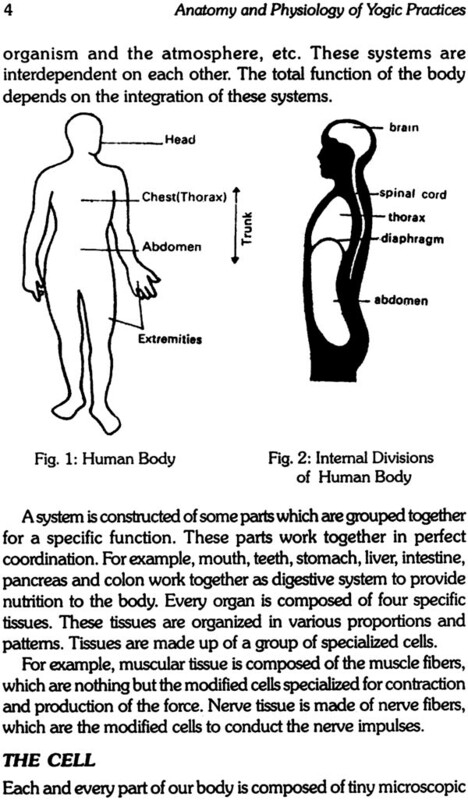 Most importantly, anatomy and physiology explains that all systems of the body function together to work as a cohesive, holistic and healthy unit. The Anatomy and Physiology of Yogic Practices is a very well written book for students of Yoga as well as those studying alternative medicine because it is penned in a clear and lucid language so that the average person can also learn about the structure of the human body in relation to yogic practices. 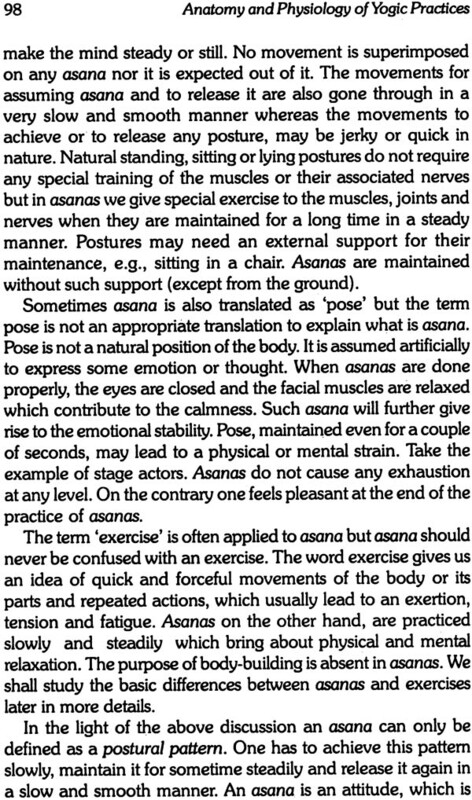 Moreover, it is to the point and does not describe unnecessary details of body function and organisation which may not be required by a student of yoga. 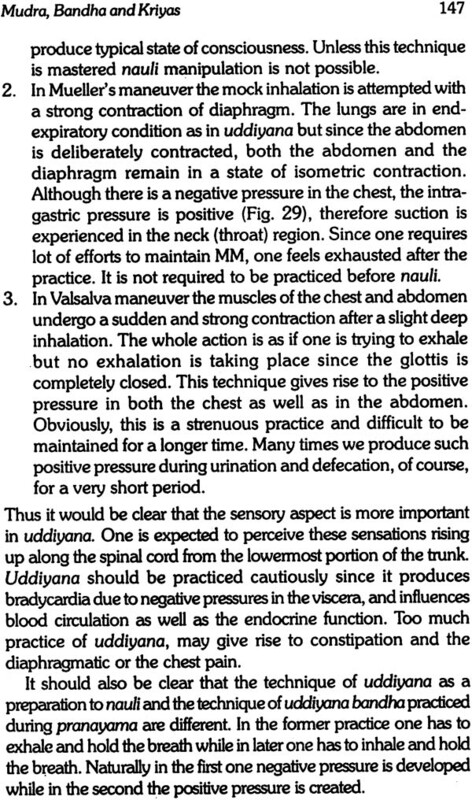 Yet, in spite of this, the author has explained certain aspects of physiology in detail such as respiratory physiology that is relevant to pranayama along with physiology of the nervous system in relation to asanas. The Anatomy and Physiology of Yogic Practices also deals with using yoga as therapy. 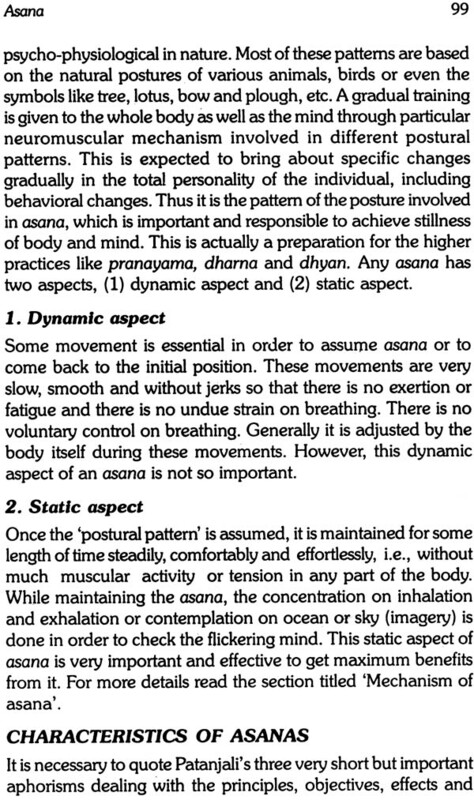 The techniques of various yogic practices are described in detail to enable the reader to easily learn these procedures - especially pranayam. I am impressed by Dr Makarand Madhukar Gore who has been a teacher of yoga for 10 years, due to his books’ contents and the way it is expounded. I recommend his book to students of alternative medicine and yoga and also to the general public as regular practice of yoga calms and quietens the mind and body which is a much needed quality in today’s world. I also feel privileged to write the Foreword for this book which is sure to help yoga students since not many books have been written on this particular aspect of the topic and students and learners of yoga must be feeling the vacuum. In fact I see this book becoming part of a curriculum in various institutes that inculcate yogic practices. I am very happy to present the fourth edition of this book, which is revised thoroughly in every sense. All the editions were very much appreciated by the readers through their letters and personal communication. Additional chapters on Sitkari, Shitali, Bhastrika and Suryabhedan pranayama, based on the recent scientific research, special chapter on the science of Aum and the complete modification of the whole text are the main features of this edition. The book is also available in Italian, German, Hindi and Marathi. The book is a National Award winner. Hon. President Dr. A.P.J. Abdul Kalam, a great scientist, has appreciated the book in his letter (November 23, 2003) addressed to me. He liked the chapter on deep breathing and pranayama the most. I thank him for his appreciation. I express my gratitude to Dr. M.L. Gharote, ex-principal, G.S. College of Yoga and Cultural Synthesis, who guided and encouraged me to write the book. I am deeply indebted to my institution, Kaivalyadhama, which has been the main source of my knowledge and understanding of yoga. I sincerely thank Dr. Dhananjay Gunde (orthopaedic surgeon), a renowned yoga therapist, for writing the foreword for the second edition. The blessings of my mother Dr. Vimla Gore are always with me. I thank my wife Bharati for publishing the third edition of this book. I am sure, the readers would welcome this edition too. Yoga is a traditional and cultural science of India. Apart from yoga, India has contributed other sciences like Sanskrit grammar mathematics, kamashashtra, and ayurveda to the humankind. Ayurveda includes yoga as a part of an ideal lifestyle arid maintenance of health (swastha vritta). Lord Shrikrishna has explained various faculties of yoga in Bhagwad Geeta. Yoga is further explored in the great treatise, Dnyaneshwari written by Saint Dnyaneshwar. Yoga literally means ‘union’ or ‘to join’, i.e., union with the divine consciousness. Hatha yoga, ashtang yoga, bhakti yoga, mantra yoga, dnyan yoga, karma yoga, raj yoga appear like different types of yoga due to their different methods and techniques but the main objective of all of them is liberation, salvation or to attain samadhi, the highest state of chitta (consciousness) by controlling its vrittis (tendencies, desires) arising in it, out of attachment with the materialistic world, so as to merge into the divine principle (absolute consciousness). Yoga is one of the six great philosophies of India. 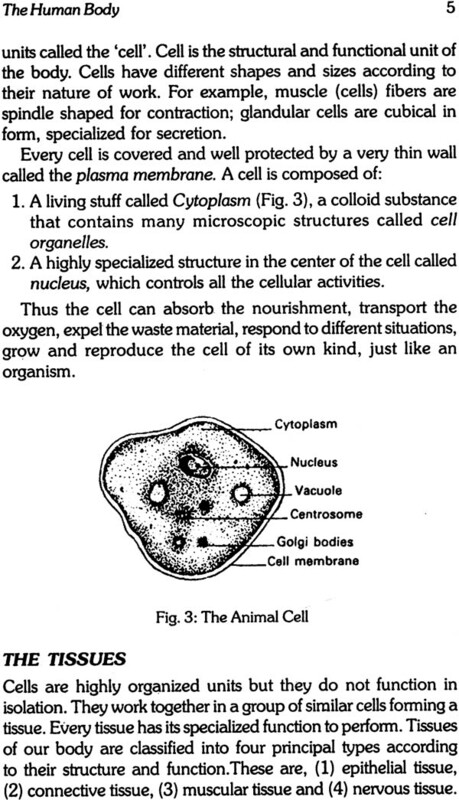 It is an experiential science. Yoga is a part of the Indian lifestyle. Real comfort lies in good health. Disease-free condition and contentment at the level of mind are essential components of happiness. Those who practise yoga as daily ritual would experience great deal of peace of mind and joy. Such people always think in positive way and lead a very happy life. Yoga has got the potential to bring prosperity and happiness to anybody from any profession. Since yoga brings about suitable changes in the behavioral pattern and the attitude of a person, the personal relationship at home and in the society are also improved. This is the reason why western countries are now following Indian lifestyle which includes yoga. They have understood that yoga is a ‘means’ to manage stress and to lead a healthy and happy life. ‘Stress’ is an outcome of the modem lifestyle. It is produced out of dissatisfaction, frustration and dejection when there is negative interaction between the self-projection and the adverse internal as well as the external environmental conditions. 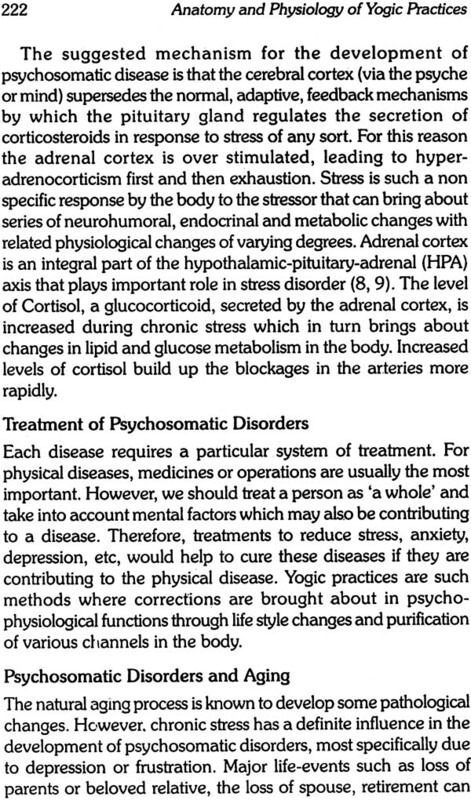 At present, the human existence is challenged by the stress disorders or the psychosomatic diseases such as hypertension, hyperacidity, insomnia, heart diseases, diabetes, asthma, etc. Although the system of yoga is not developed for the purpose of treatment, it has been observed through the applied research that the regular practice of yoga not only controls these diseases but also promotes and maintains the healthy condition of body and mind and prevents the disease process. Yoga is not an alternative to any conventional therapy but it definitely supports the healing process. Today, the popularity of yoga is mostly because of its therapeutic value. 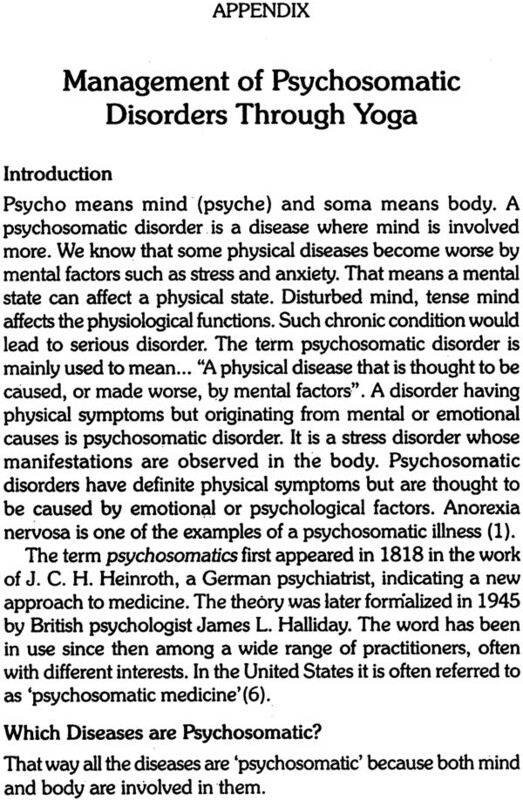 Yoga has a potential to tranquilize and balance the mind, which is the key in the management of stress disorders. Kriyas, asanas, pranayamas, bandha, mudra, and nadanusandhan are to be practiced in this sequence. All these practices are from hatha yoga. 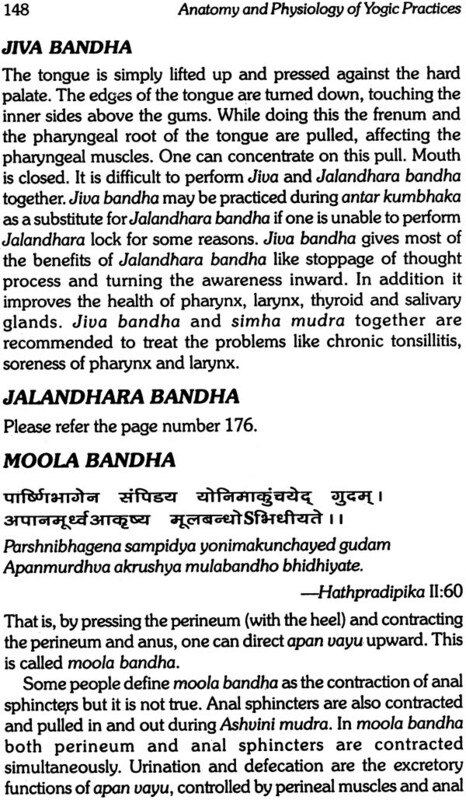 Hathapradipika, Gherand Samhita, Vshishtha Samhita, Hatharatnavali are important ancient hat ha yogic texts. Practice of hat ha yoga promotes health and prepares an individual for spiritual aspects of yoga like awakening of the kundalini, dhyan and samadhi. It works on two principles, i.e., Ha (Sun) and Tha (Moon) and brings about the balance in between the two. Hatha yoga is aware of the fact that, Meaning: without the practice of hatha yoga, the practice of Raj yoga will not be successful and without raj yoga no perfection is attained in hatha yoga. Hence one should practice both simultaneously. Yama, niyama, asana, pranayama, pratyahar, dharana, dhyan and samadhi are eight parts of ashtang yoga of Yogi Patanjali. He describes the whole yoga in total 195 aphorisms, divided into four parts. He defines yoga as chittavritti nirodhah and then writes remaining aphorisms to explain how to achieve it. He considers yoga as a discipline. Unless yoga is practiced regularly, sincerely and in a most disciplined manner, one can not reap its benefits. First four steps are known as bahirang yoga (external part of yoga) and the rest four steps form the antarang yoga (internal part of yoga) or the raj yoga. 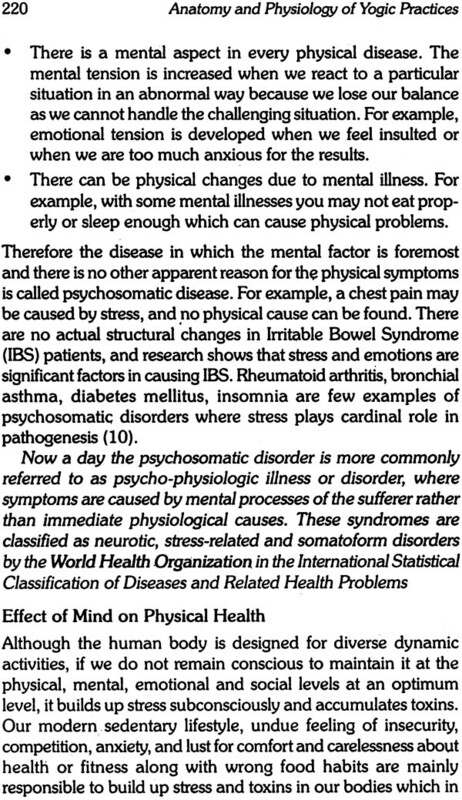 Patanjali does not mention the names of asanas or pranayamas but elucidates the fathoms of the human psychology and recommends prophylactic measures to promote and maintain the physical and mental health. Ahimsa (non-violence), satya (truthfulness), asteya (non-stealing), brahmacharya (abstinence), and aparigrah (non-possessiveness) are five yamas or the vows of self-restraint (the don’ts) that are meant for one’s virtuous attitude towards the society. Purification of self is necessary before proceeding to yoga practices or simultaneously, to reap the full benefits of yoga. Such purification is achieved by observing these rules (commandments) of Patanjali. This would improve values and provide the moral foundation for the yogasadhana. Shauch (purity, cleanliness), santosh (contentment), tapa (austerity), swadhyay (self-study) and Ishwar pranidhana (surrender to God) are the five niyamas (observances) of the yogic discipline that lay the foundation of the yogic attitude. The sincere observance of these ten vows (mahavratas) would help us to progress faster on the spiritual path since they increase the purity of our mind. Hatha yoga says that all young, old or too old, patients, weak persons can learn and practice yoga. That means anybody can practice yoga after the age of seven. There is no restriction of caste, creed, religion, cult or country. It is open for all. The only rule is that it should be practiced daily as a routine and be a part of your lifestyle. The basic lessons in yoga should be learnt, in the beginning, from an expert yoga teacher. Remember, yoga teacher, yoga therapist and a yoga instructor are three different persons. The best time to practice yoga is at sunrise. The practice after bathing yields better results as the circulation of the body increases after bath. While practicing one should preferably face the east and the place should have good ventilation. It should be free from mosquitoes and foul odors. The atmospheric conditions should be suitable. Too cold or warm weather should be avoided. The sadhak should practice yoga in a relaxed manner, with deep faith (shraddha) and devotion (bhakti). He should pay attention to different sensations arising during the practice and analyze them on the basis of the scientific information provided in this book. It will help him to progress on the spiritual path. The scientific nature of yoga was first revealed when Swami Kuvalayananda conducted most fundamental scientific experiments in yoga in 1924. He established Kaivalyadhama Institute for scientific research on yoga. 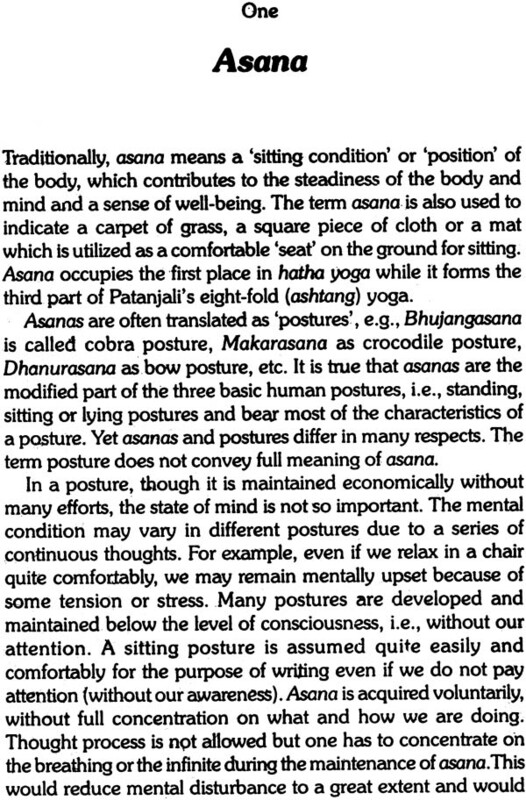 These research findings removed various misconceptions about yoga and the mystical sheath lying over it in those days. He and Dr. S.L.Vinekar then described the principles of yoga therapy in terms of anatomy and physiology. 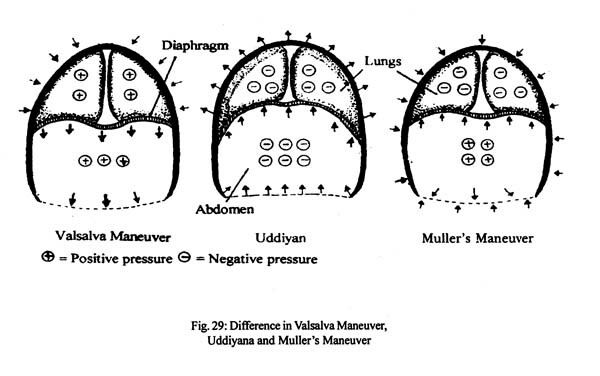 Based on this, the subject ‘anatomy and physiology of yogic practices’ was further developed by Dr. M.V. Bhole. The subject of anatomy and physiology of yogic practices is a mandatory subject for diploma courses in yoga in all the yoga institutions. It helps to understand the mechanism of yogic practices and their appropriate application for the patient or a spiritual aspirant or the normal individual. However, there was no book available on it till 1984. The second part of the book describes the traditional technique of asanas, pranayamas, bandhas, mudras, kriyas (cleansing practices), their possible mechanism, effects and the research findings about these yogic practices so that the insight as well as the interest of a student would increase. 3. To know whether we can modify the techniques of these yoga practices with the help of the scientific information about them, for better application.